Did you know that beer in Equatorial Guinea is as ‘dear’ as anything can get? 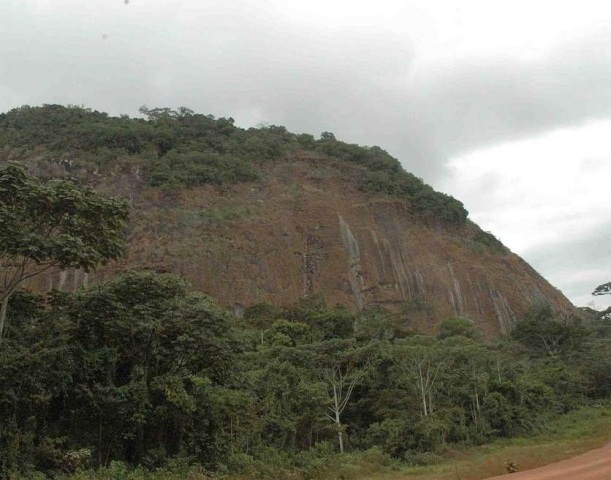 Find your way through this article for interesting and fun facts about Equatorial Guinea. Equatorial Guinea, officially known as the Republic of Equatorial Guinea, is located in the continent of Africa and is one of the smallest countries in the same. Equatorial Guinea occupies approximately around 28, 000 square kilometers of African ‘territory’. The country, unlike most of its African counterparts, enjoys a great degree of prosperity. Unfortunately, most of Equatorial Guinea’s wealth finds itself in the laps of the country’s elite while almost 70% of the population survives under the United Nations Poverty Threshold of $ 2/day. In 1968, Equatorial Guinea broke free from the chains of Spanish rule that stretched itself out to a period of 190 years. The country is geographically divided into parts that include a Continental Region (Rio Muni) and numerous small offshore islands like Elobey Chico, Corisco and Elobey Grande. Equatorial Guinea also has an insular region comprising Annobon Island and Bioko Island. Malabo, Equatorial Guinea’s capital city is situated in the Bioko Island. Make your move to discover interesting and fun facts about the country of Equatorial Guinea. Equatorial Guinea is located in Western Africa between Gabon and Cameroon, bordering the Bight of Biafra. Equatorial Guinea, in terms of geographical area occupied, is just a little smaller than the American state of Maryland. The country experiences a tropical climate with a hot and humid weather almost throughout the year. Equatorial Guinea is noted for its coastal plains that extend to its interior hills and its volcanic islands. As far as the country’s natural resources go, Equatorial Guinea is blessed with varying amounts of gold, bauxite, natural gas, diamonds, petroleum, clay, and sand. Most of the land area of Equatorial Guinea is located on the African mainland; however, the country’s capital Malabo is situated on the northern coast of the Bioko Island. Did you know that Malabo was previously known as Port Clarence when it was founded by the British in 1827? Bata, the largest city in Equatorial Guinea, was formerly the capital city of the country. Bata is famous for its markets and nightlife. The people inhabiting the country of Equatorial Guinea are known as Equatoguineans. Equatoguinean is a demonym, which is a word used to refer to the inhabitants or natives of a particular place or country. Equatorial Guinea during the turn of the 21st century promoted itself as the third largest oil-exporter in Sub-Saharan Africa. Did you know that Equatorial Guinea is the smallest country in the continent of Africa that is a member of the United Nations? Equatorial Guinea at present functions as a Presidential Republic. The official currency of Equatorial Guinea is the Central African CFA franc. Spanish and French are the official languages of the country. Fang, Annobonese and Bube are examples of unofficially recognized languages. President Obiang, post overthrowing his uncle President Macias in a 1979 coup, has ruled over Equatorial Guinea for a period of a over two decades. Did you know that beer is extremely pricey in Equatorial Guinea? However, a cheap local sugarcane brew is easily available all over the country. The dominant religion in Equatorial Guinea is Christianity. Apart from Christianity, Equatoguineans are also noted for their pagan practices.